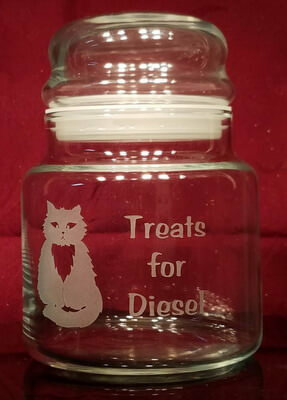 The personalized engraved cat treat jar is the perfect storing container for your feline friend! 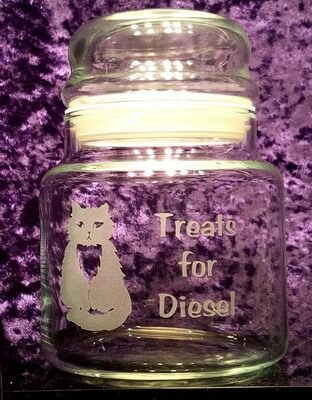 The cat treat jar is made out of glass with a plastic seal and a tight fitting lid. 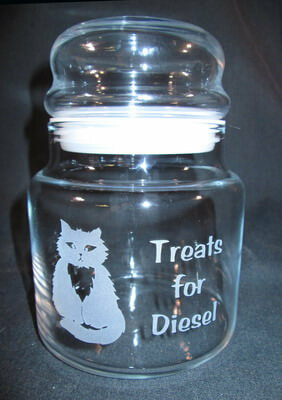 It is 22 ounces which is plenty for storing your cats goodies. 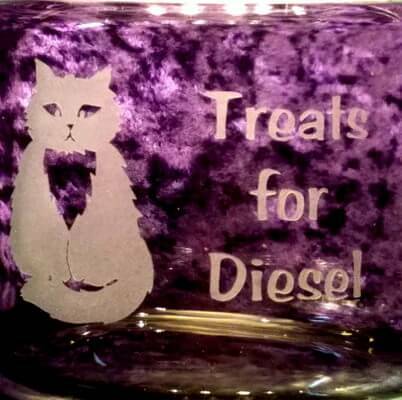 The personalized engraved cat treat jar can be customized with your cats name, and any font.